Meeting at 8.00/8.30 am and, after 1 hour and 15 minutes drive, arrival in Volterra, a gem hidden in the hills of Tuscany. Volterra was a Neolithic settlement and an important Etruscan center , built in volcanic stone 2700 years ago. You will visit the Roman amphitheatre, Priori square and Priori Palace showing the most powerful Florentine families coats of arms. You will then walk to Santa Maria Assunta Cathedral and San Giovanni Baptistery. Because of its alabaster heritage, Volterra attracted other types of artists, who brought with them a rich variety of crafts. On Via Porta all’Arco, or “Artisan Lane,” you’ll find book binderies and paperies, jewelry stores and leather and bronze shops, among others. The sightseeing in Volterra usually lasts 2 hours. We will then drive through Tuscan magnificent countryside and arrive one hour later to San Gimignano. On the way, we will admire vineyards producing Chianti Classico and Vernaccia di San Gimignano (obtained from Vernaccia vines and other berry vines). San Gimignano is a little medioeval village, of the town’s original 72 towers, only 14 survive. You will walk to Palazzo Vecchio del Podestà, the Cathedral and Piazza della Cisterna. San Gimignano offers a variety of stores where you can have unlimited selection of different kinds of leather purses, belt bags, belts, travelling bags, backpacks, book covers, coin purses and colorful ceramic . 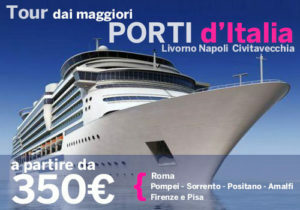 If desired, enjoy wine tasting and light lunch at 25,00 € per person. We will be back to the boat around 5.00/5.30 p.m.
Meeting at 8.00/ 8.30 am, arrival in Pisa will be approx. 30 minutes later. Visit at Piazza Duomo, also known as Piazza dei Miracoli, where you will admire the Cathedral, the Baptistry and, on request, you will have the possibility to climb on the famous “Leaning Tower of Pisa”, the most famous image of the city. After the stop in Pisa, we will continue our way to Lucca (30 minutes drive), a town still encircled by its wall, full of pastry shops and bicycles. First stop will be Napoleone Square in the city centre where we will provide you with a map and you will visit San Martino Cathedral, San Michele Church, the ancient Roman Amphitheatre, Giacomo Puccini ‘s home and Guinici Tower. Stop in Lucca will last 2-3 hours. We will then continue to Montecarlo di Lucca, a little fortified village. In the surroundings, you will admire many vineyards producing the famous wine “Montecarlo di Lucca “( white Montecarlo is obtained from Trebbiano, Semilllon, Pinot, Gris, Vermentino, Sauvignon and Roussanne vines; red Montecarlo comes from Sangiovese, Canaiolo nero, Colorino, Merlot vines). If requested, there will be the possibility to have a stop in a typical cellar for wine and food tasting at the price of 25,00 € per person . Meeting at 8.00/ 8.30 am, arrival in Pisa approx. 30 minutes later. Visit at Piazza Duomo, also known as Piazza dei Miracoli, where you will admire the Cathedral, the Baptistery and, on request, you will have the possibility to climb on the famous “Leaning Tower of Pisa”, the most famous image of the city. After the stop in Pisa, we will continue our way to Florence, the cradle of Renaissance, where we will arrive 1 hour and 30 minutes later. On the way to Florence, we will drive through the extraordinary beauty of the countryside to admire vineyards producing the famous Chianti wine – obtained from Sangiovese grapes. If interested,stop in a typical cellar for wine and food tasting (10,00 € per person) . Once arrived in Florence, our first stop will be Piazzale Michelangelo offering an outstanding panoramic view of the city, where you will be able to take unforgettable pictures ( approx. 10-15 minutes stop). 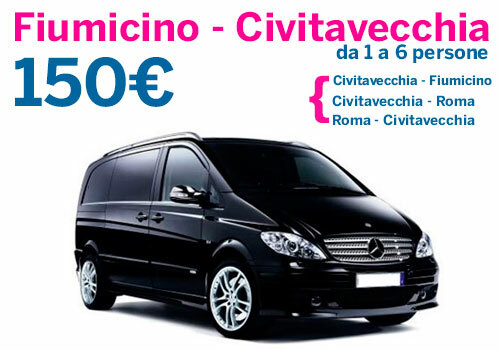 At our arrival in Florence, since main historic center is relatively small and many streets are pedestrian only , we will not be allowed to enter with our minivans, so we will provide you with a map and the driver details (name and phone number). You will then walk in the city centre where you will visit the best-known site of Florence , domed cathedral of the city, Santa Maria del Fiore, known as The Duomo, whose dome was built by Filippo Brunelleschi. The nearby Campanile (partly designed by Giotto) and the Baptistery buildings are also highlights. Then you will visit Piazza della Signoria, important site for being the centre of Florence’s civil life and government for centuries, Santa Croce Church and the well-known Ponte Vecchio, whose most striking feature is the multitude of shops built upon its edges, held up by stilts. You will have time to do shopping, visit the famous “Mercato Centrale” and have lunch in a typical restaurant. Meeting at the minivan will be at 4.00 p.m and we will be back to the boat around 5.00/5.30 p.m. Please feel free to contact us to book a custom tour. We hope to meet all of your needs.